Keep your valuables in your Bentayga safe with this new fingerprint-scanning security compartment. You've just dropped more than $229,000 on a new Bentley Bentayga packed with more British luxury than Buckingham Palace and that Bentley badge means you're now the target for every thief in town. 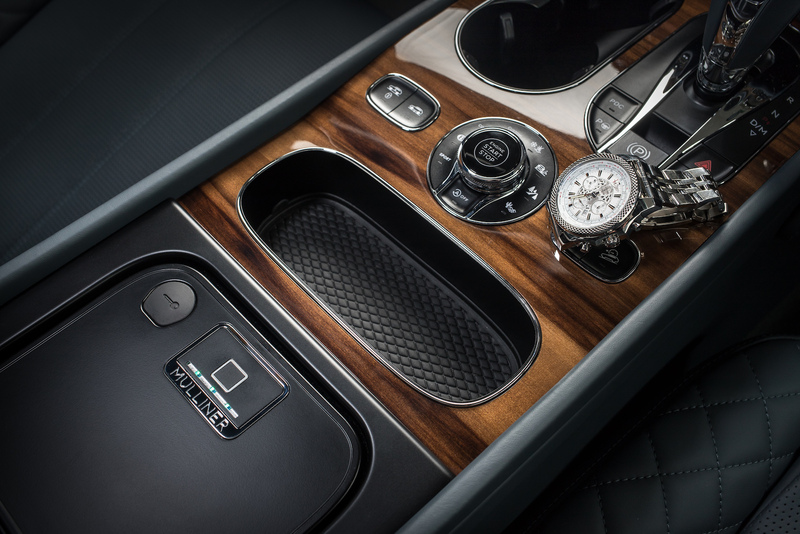 Thankfully, Bentley's bespoke division Mulliner has thought of that, and just announced a state-of-the-art storage locker called the Mulliner Biometric Secure Stowage unit. As the name implies, the Bentayga's main compartment in the center console has been upgraded with biometric technology to safely store items. At the push of a button, the low-profile compartment will lock and the only way to unlock it is through fingerprint recognition. This system will allow drivers to lock their valuables in the sturdy die-cast aluminum container and not have to worry about anyone breaking in and taking everything. Whether it's a trip to the shops or the beach, occupants can leave items in their Bentayga stress-free. 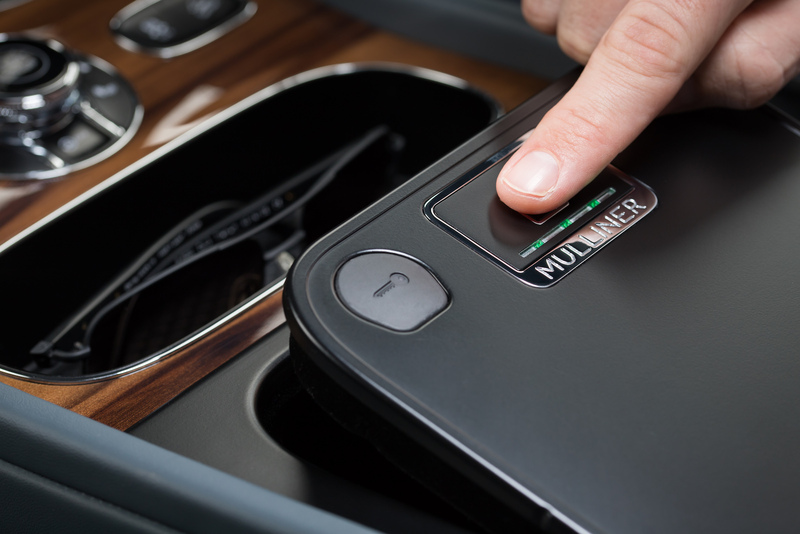 "We are incorporating the familiar capacitive fingerprint sensor technology from smartphones that can store multiple fingerprints, allowing the user to control who accesses their valuables," said Uday Senapati, head of technical operations at Mulliner. The stowage unit also contains an auxiliary jack and two USB ports that will allow drivers to use the Bentayga's smartphone integration features (mainly Apple CarPlay) even while the phone is stored in the compartment. There is the question of whether or not this is available for the regular Bentayga or just the bespoke Mulliner variant. We reached out to Bentley for clarification, and were told the biometric stowage unit is a part of Mulliner's range of options that is available for the normal Bentayga.